When you get into your vehicle and turn the ignition key you expect to hear the engine run in about 2 to 3 seconds for before it starts. The computer system in your vehicle is designed to deliver what your engine needs to run instantly such as fuel pressure, injector pulse and ignition system with an electrical charge to the spark plugs. No need to step on the throttle a little like older vehicles because the computer will crack the throttle for you from its completely closed position. Today's engine is lean and efficient with very little waste in the way of fuel and energy. If the engine takes more than 4 seconds to start there is a problem in the way of a leak, low pressure or reference to the computer problems. It sounds complicated, but it really isn't, today's vehicles are easier than ever to repair thanks to the vehicle’s computer control system and basic troubleshooting methods which we will help you with in this article. Some repair shops want you to think the repairs to your vehicle are difficult so they can charge you more money, but we are going to put a stop to all of that and put the power back into your hands so you can have a better idea of what is wrong and can you fix it yourself, or have a repair shop make the repair for you. Let’s get started by going over the repair guide below; I will list the most popular reasons to the most obscure. If no warning lights are "ON" please proceed, park the vehicle on level ground, with the emergency brake set. You will need a basic mechanics tool set, safety goggles and a pair of gloves. Some of the supplies you will need are a can of carburetor cleaner spray and shop towels. Are you ready to save some money while learning a little more about cars? Let’s get started shall we? One of the most popular causes for extended crank is a "slow to come to pressure" fuel pump in other words the fuel pump works, but its weak and it takes time to bring the fuel system up to the correct pressure for the system to work properly. Think about how much fuel is burned inside the engine when it is running, even at full throttle, the amount is very little because its mostly air that is entering and exiting the engine, 14 parts air to 1 part fuel to be exact, and this one part fuel is an atomized version which is even less. So the companies that manufacture vehicles have figured out that they can make a cheaper pump that can deliver the pressure without the volume of yesterday’s pumps, the down side is these pump are made in mass quantities for cheap and weak pumps are common. Here is how you can tell if this maybe your problem. Next time you get into your vehicle to take off somewhere turn the ignition key to the "ON" position without cranking the engine over. You should hear the pump start in the fuel tank for a brief period and then stop, cycle the key "OFF" then "ON" again without cranking the engine over while listening to the fuel pump, and do the cycle one more time to make three subsequent cycles. You are listening for a change in the tone of the pump with each attempt; it should sound like it is laboring a little more each time the test is run. On the third time crank the engine over, if the car starts right up you have found the problem, a weak fuel pump. Though some of you may not want to change a fuel pump because in particular cases you need to remove the fuel tank, have no fear many of today's vehicles have trap doors either under the rear seat or in the trunk which makes the job much easier even though I don't mind taking a tank down from a vehicle, it’s a fun day project that family and friends can help with. The trick is to wait until the tank is empty before you begin. Watch the video below so you can get an idea of what's in store for you when doing this job. The first video will be the trap door style; the next video will be the "drop the tank" repair. Remember when working with gas, no smoking just like in the filling stations. And the non-trap door models. Both of these examples give you an idea how the job is done. If the engine still starts hard with the three key cycle test, move onto the next problem. Another common reason for extended crank time for engines is a vacuum leak. Engine vacuum must be a sealed system which the mass air flow and map sensors depend on to send feedback information to the main computer which in turn sets the stage for the engine starting sequence. This information is then offset by a leak the computer is not ready for. The readings it then receives and gives commands to won’t fit the engine at startup mode. By a visual inspection of all vacuum lines present in the engine bay you can discover a broken, torn or dilapidated hose that needs replacing. These hoses connect to the power brake booster and other vacuum related items such as the climate and cruise controls on older Mercedes Benz, BMW, Ford, Volkswagen and Chevy's. Check out the video below to see how to check for vacuum leaks and how to repair them. One more important part of the vacuum system is the air intake tube and boot. These parts are connected to the air filter and feature the mass air flow sensor. The MAF sensor is responsible for metering the air entering the engine and sending this information to the main PCM computer. If this tube or boot is broken or torn it will alter its reading therefore feeding the computer false information causing an extended crank time for the engine. To check for this problem remove the air intake tube and inspect it, replace the worn, torn or broken parts as needed. Check out the video below to see how the job is done on a Ford Focus. And this is how it is done on a Toyota, you can see in the video how someone tried to glue the tear which works for a little while, but the tear will almost always come back unless replaced because the rubber it is made of gets dried out and brittle. The next item on the list is the throttle actuator (throttle bore on older vehicle) this electronic throttle control will get a condition we call "coking" which in short is a kind of heavy tar like goo on the butterfly and its inner body. This substance is due to the impurities in the air the engine consumes in mass quantities over the years of being operated. A throttle actuator service is part of today's tune up along with the spark plugs. The good part about this service is you will need no parts to do the repair, just a shop towel and a can of carburetor cleaner which you can get at Amazon or any auto parts store. See how it is done on a Chevy Truck in the video below. On vehicles equipped with an idle air control motor IAC (pre 2008 mostly) which is designed to control the amount of air entering the engine there is a simple test you can do to see if this part has failed or needs service much like the throttle actuator or bore. The next time you get in your vehicle before you turn the key "ON" rest your foot on the gas pedal slightly to open the butterfly. This will bypass the idle air control valve and allow the engine to start. If the engine starts by resting your foot on the gas pedal remove the IAC and clean it, again no parts involved just a shop towel and carburetor cleaner. Check out the video below to watch how it is done. Fun right? I'm having a good time. Next on the list, the crankshaft angle sensor or CKS. 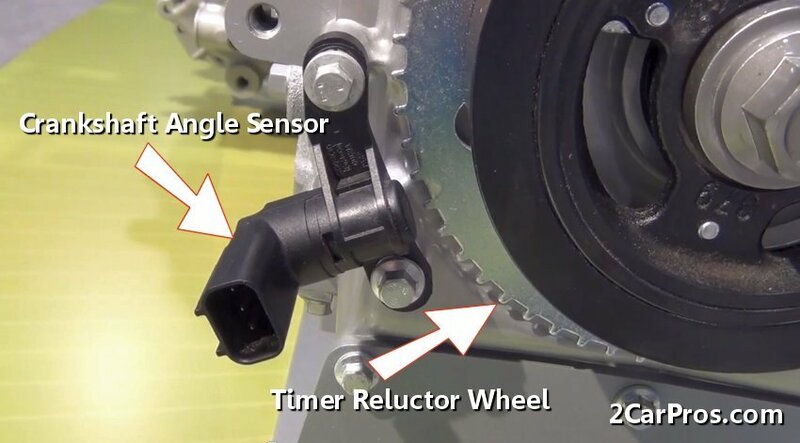 A crankshaft angle sensor is used to monitor the rotation of the crankshaft of the engine and signal the computer the rotation speed of the crankshaft. This is done using a magnetic sensor on a reluctor wheel on the front or rear of the engine, and on newer engine's both front and rear. As the crankshaft spins it creates alternating current much like an ABS wheel speed sensor. This sensor can also have a problem and not give you a check engine light or trouble code of any kind because the computer thinks the engine just stalled for some outside reason, could have run out of gas, or stalled using the clutch etc. When this sensor becomes weak and starter motor is turning the crankshaft slowly and while cranking the voltage is weak, little to no signal is generated and the computer thinks the engine is not turning over hence the hard starting. On some car's like the Chevy Colorado eventual the computer will see the camshaft is turning without the crankshaft and force the engine to delay start. Would you like to see how the crankshaft angle sensor is replaced? Sure why not. 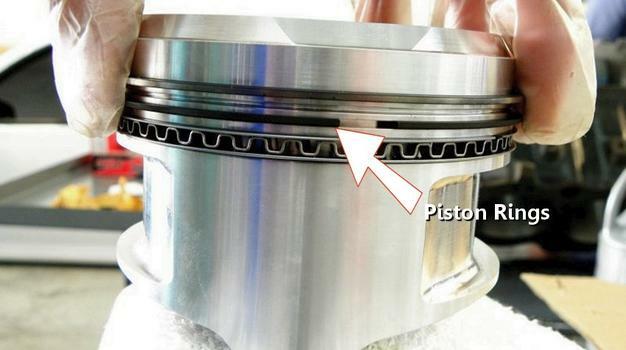 On high mileage engines (200k to 300k) the pistons ring can wear causing low compression which increases crank time and causes hard starting. This is because the compression ratio is low and it takes time for the engine to gain enough speed cranking by the starter to ignite the fuel air mixture. To check for this condition a compression test is needed, if the compression is 90 pounds or lower the engine is worn out and to be more specific, the pistons rings no longer seal against the cylinder walls. Take a look how a compression test is done. I know right? 2CarPros.com has it all. I hope you enjoyed my guide, please subscribe to our 2CarPros YouTube channel where you can see many repairs being done by our garage. 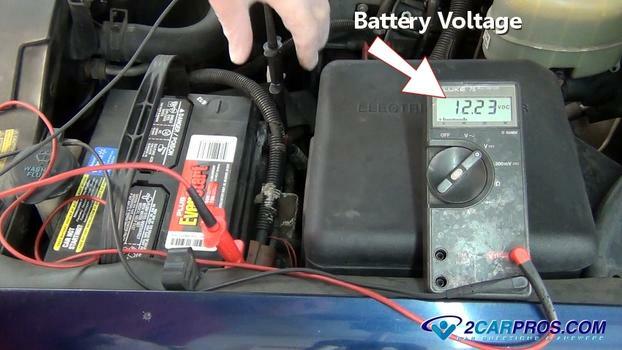 These videos can help you to see how easy working on your own vehicle can be. Also, our Facebook page is fun place to check out interesting facts about all types of vehicles, events, and unique concept vehicles, some of which never made to production. And don’t forget to like us! If you have any question about hard starting or just want to chat or have a question about a different car repair please use our community forum its free.